Hacienda Home Style .com — It's all about Spanish Style Homes. What they look like, how to paint, decorate and what types include hacienda style homes? 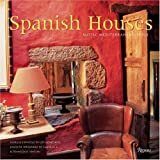 Isn't it time to find how to decorate your spanish style kitchen and home? This is one of those tours of a home provided by a real estate company – I love these little tours of homes I can watch from home. This home is really a hacienda style home in the desert hills of Palm Springs, California. You will love the views from every room in this house… I’d live outside all except for the hottest summer months. If I were to purchase this home – which I’m not… I’d change a few things right away. The wall colors in the living room are a faux washed gold color that makes the room feel a bit dark and dated. The patio doors are all glass sliders – I think I would change those out for french style doors. You can just tell this is not a new home… it’s a “lived in” home that just feels good. Several “out buildings” have been added for extra bedrooms – I’d pick one with a northern window exposure and create an art studio. Wait until the end of the video and they show a tiny chapel with some “rubble” architecture that is really well done. And… the pool is to die for. I can imagine hanging on the edge of the hillside in this pool and taking in that view every day. Pure Bliss! The asking price for this house is almost 1 million dollars. I have a hard time imagining spending that kind of money on a house… but if I had the cash this home would be in the running for sure. I didn’t go on this home tour – but wish I had. I love the Cliff May style homes. Pictures of the interiors of these homes were not allowed – so we only get to see the exterior design and garden areas. Still…. it’s worth watching as they are spectacular little homes. These have been called Hacienda and or Mexican Style Homes in the video. I’m not sure what they would actually be in architectural terms… they do remind me somewhat of George Washington Smith in detail and architecture. It’s said that Cliff May designed the same style home over and over. His “plot plan” for homes were different than the traditional – house in the middle of the lot with a front and back yard. The homes were designed with a walled in courtyard – this wall actually sitting very close to the street. The garage door sat on the street as well. A bedroom window may have been seen in this street side wall… covered with his signature grill holding potted plants. The door (which resembles a homes front door) actually opened up into the courtyard and covered patio area. The house actually wraps around the lot line – leaving a small back yard. This design left the home dwellers in complete privacy from the street and neighbors. A sanctuary if you will. May grew up in San Diego, California. He built Monterey-style furniture as a young man. As an architect May designed projects throughout Southern California, including the regions around San Diego, Los Angeles, and Santa Barbara, California. He is credited with creating the California Ranch-style house in 1932. He never had the need to formally register as a licensed architect. Cliff May, over the course of his career, designed numerous commercial buildings, over a thousand custom residences, and from model house prototypes more than eighteen thousand tract houses had his imprint. May synthesized Spanish Colonial Revival architecture with abstracted California adobe ranchos and Modern architecture. Robert Mondavi choose May to design his winery in which he incorporated features found in construction of California Missions. Cliff May died in 1989, at the age of eighty, at his estate “Mandalay” in Sullivan Canyon, in the foothills of the Santa Monica Mountains in Brentwood, California. John & Judy Tour Hacienda Style Homes in San Diego from John Lawrence on Vimeo. 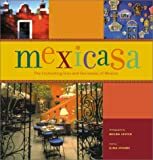 HaciendaHomeStyle.com is a participant in the Amazon Services LLC Associates Program, an affiliate advertising program designed to provide a means for sites to earn advertising fees by advertising and linking to amazon.com.